About 3 years ago, I bought this white photo storage box at Hobby Lobby. 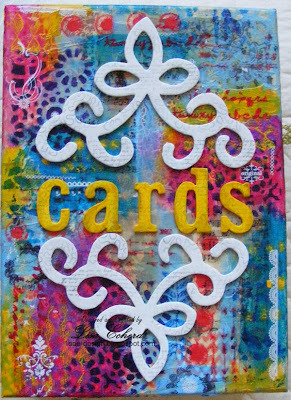 It is the perfect size for standard size cards so I keep some made up for birthdays, thank you's, etc. At the time I tried to decorate it by stamping the top. The slick surface didn't take to my dye ink at all. Everything smeared. Then, I'd never heard of gesso and didn't know what to do. So I did the best thing I could think of - I procrastinated. Finally, this weekend, I gesso, Mod Podged, and painted the top of this box. 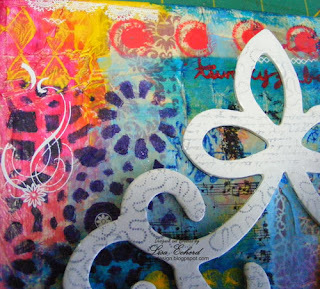 The chipboard swirls are from Oriental Trading. I've had these for years to and have tried numerous times to fit them on a layout but they were just too big. I'm glad they found a home. They were covered with gesso, stamped with permanent black ink and then gone over again with a mixture of white paint and gel. I put a final coat of Faber Castell glaze over the chipboard before gluing it on with Glossy Accents. Wow! Love the box top, Lisa. How about a process video on how you create one? I'd love to try it one of these days. 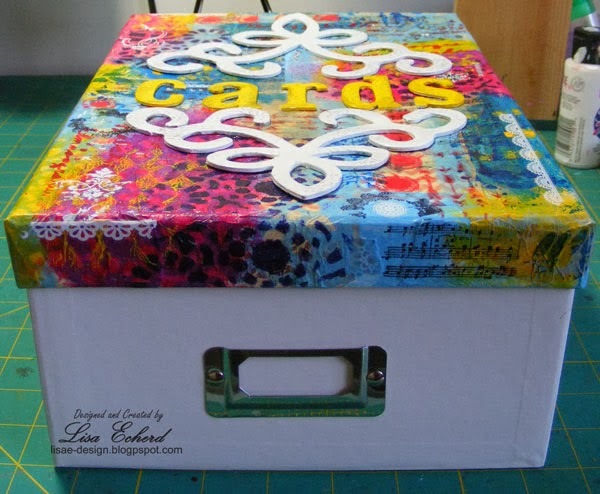 Love the box top. And I always love to see what people buy! LOL. Especially loved the wood heart shapes. 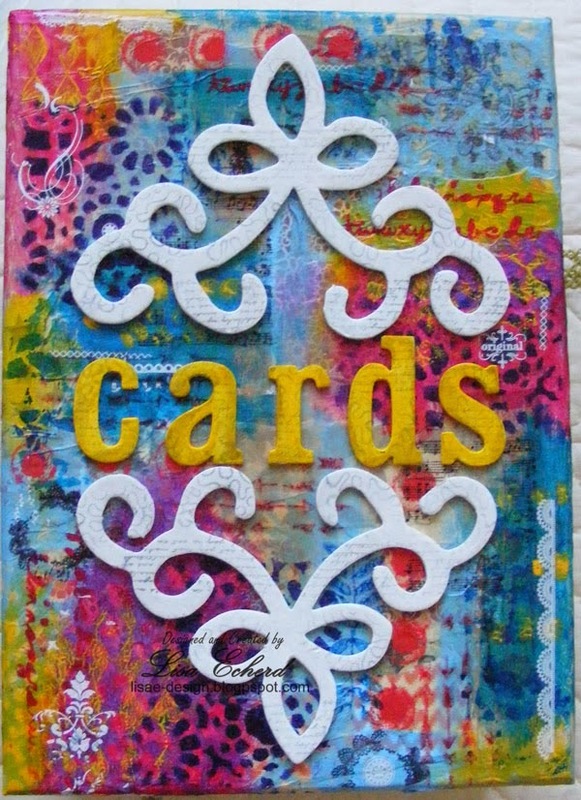 Would love to see more about using the canvas on scrapbook pages.